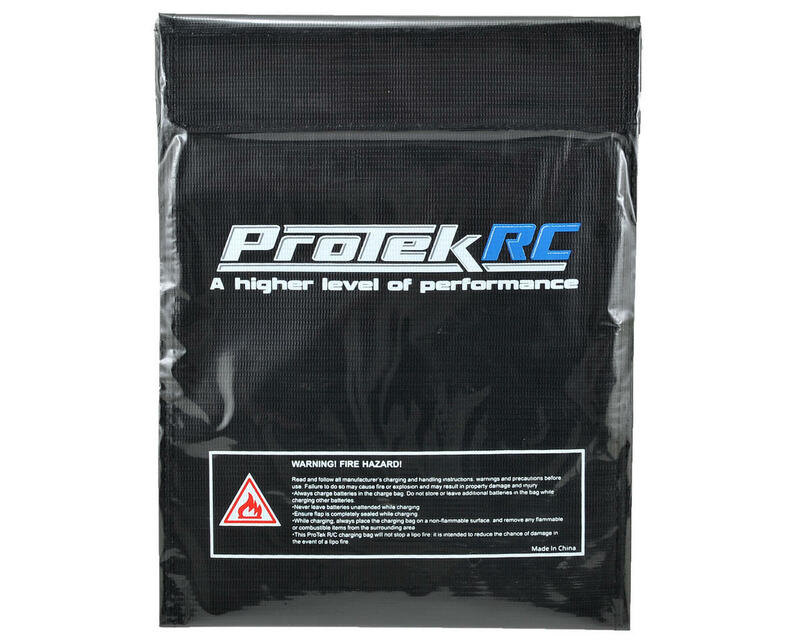 This is a ProTek R/C Flame Resistant Lithium Polymer Charging Bag, and is intended to reduce the chance of damage or injury in the event of a LiPo fire. The ProTek LiPo Safe Charging Bag is rated up to 30 watt-hours and is made of high tech space-age materials that will help to contain a lithium polymer battery fire. Place your lithium polymer battery inside the LiPo Safe Charging Bag and extend the charging wires through the top flap. Charge your LiPo batteries in the LiPo Safe Charging Bag for peace of mind and a higher level of safety. In the event of a lithium polymer battery mishap, the LiPo Safe Charging Bag’s fire-resistant material reduces the severity of the fire inside and vents the smoke outside the LiPo Safe Bag. The Charging Bag is sealed with a thick, industrial strength Velcro flap and can also be used for safe transportation and storage of your Lithium Polymer batteries. 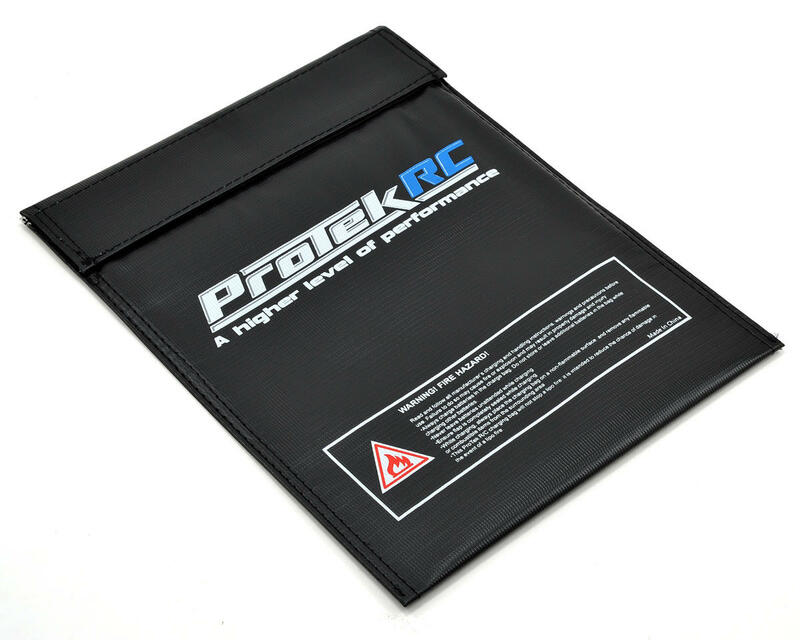 Due to the volatile nature of Lithium chemistry batteries, charging bags such as the ProTek Lithium Polymer Flame Resistant Storage Bag are required by many tracks, flight clubs and at ROAR sanctioned events. I have 3 regular size 2S car lipos in this bag. I could probably fit another 4 of the same batteries in there. This is a good investment in safety and gives you a place to keep your lipos clean and dust free. I've been using one of these ever since I had a battery explode. I definitely recommend using one, It'll save you a lot one day! Great case... for those of us who run the larger 7600mAh or 10,000 mAh 2S batteries this case covers the larger batteries very well... and all it takes is one mishap, to regret not having a charge bag...don't be caught without one.